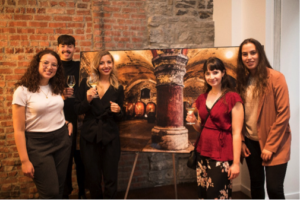 MONTREAL, Canada – On October 5, 2017 Wines of Germany launched the Landmarks of German Wine Culture exhibition at the Hotel Gault located in Old Montreal. Distinguished guests included German Consul General Dr. Markus Lang and German Wine Institute representative, Ulrike Lenhardt. Guests sipped on German wines and enjoyed light appetizers selected to showcase the diversity of the wines. Hotel Gault will continue to display the exhibit until November 2, 2017 and will host a 5 à 7 featuring German wines on October 12, 19 and 26.